The Society of Applied Neuroscience conference is currently taking place in the Netherlands. 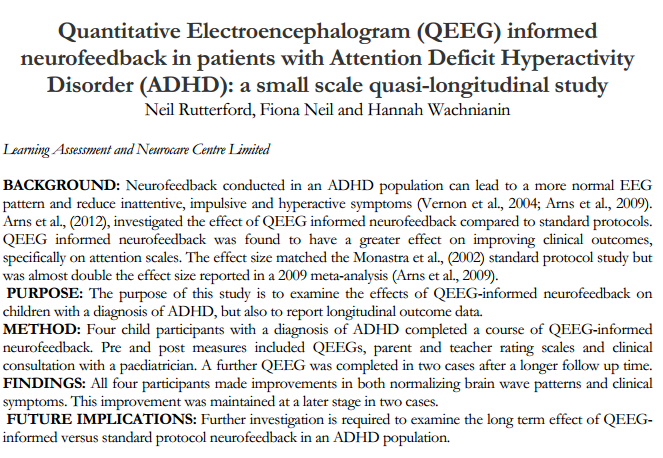 The Learning Assessment and Neurocare Centre submitted an abstract investigating the effect of QEEG informed neurofeedback in patients with ADHD. If you would like to know more about the conference as well as other abstracts and presentations, please click here.